One role of a leader is to create energy – not consume it. The question a good leader asks is “How can I work to make this enterprise reach its potential?” The approach I have had the most success with is rooted in sustaining participatory workplace communities. It has been shown that a person’s system of relationships, especially those with peers and with those we supervise, is more important in determining workplace efficacy than any individual characteristic, such as motivation (Leonard Sayles). As a leader, without a positive and professional relationship with your team members, the potential to achieve one’s vision, longer term goals and current objectives will be truly compromised. 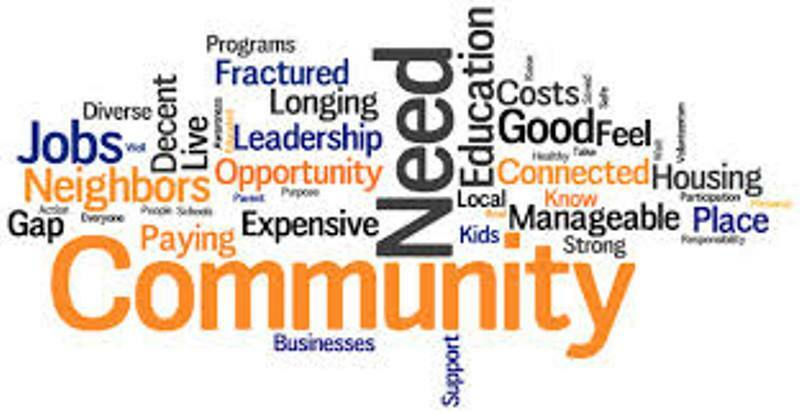 It is in this environment of community where opportunity is created, potential is released and excellence is achieved (Land & Jarman). Preferring the idea of developing human beings rather than leaders, Henry Mintzberg suggests that we can foster leadership in others though co-creating the conditions that allow colleagues to reflect thoughtfully on their own inner knowledge and experience. However, he goes on to say that leadership is always exercised in a context: it is the person in the situation which gives rise to leadership. In dispelling the idea of “heroic leadership” in favour of “engaging management,” he says, “True leaders are in touch, on the ground: they have to manage, just as managers have to lead. (www.mintzberg.org). Co-creating community takes time and cannot be manipulated if one wants a genuine outcome. This is a process of evolution; it must occur naturally and be nurtured even, when at times, it can be a bit “messy.” The leader also has to be the “buffer” between the emerging workplace community and the organization as a whole, especially when the corporate culture has not progressed sufficiently along the path of supporting a diversity of leadership approaches or a less traditional concept of workplace. Eventually, with confidence, authenticity, and careful stewardship, the community will emerge and take on a life of its own. You have arrived when there is an awareness that the whole is greater than the sum of its parts, and members choose to assume responsibility for this wholeness as well as for their individual contributions. Learning is dangerous and occurs between a fear and a need. “Conventional” learning is transactional. However, what is needed is “Transformational” learning, which is about who we are. It is only with the support, insight and fellowship of community that we can face the dangers of learning meaningful things. When people have a practice field, where the can relate to each other safely and playfully, where they can openly explore difficult issues, they begin to see their workplace community as a new way of managing. Some folks tend to use a lot of energy holding on to dysfunctional ideas of “being in community.” We need to recognize that it takes time to re-learn how one should live and behave in a workplace. Most of us have been conditioned, for example, to look to workplace authority figures as having all the answers and as being “pseudo-parents” who control the environment, the rewards and the recognition – not unlike the traditional school principal-teacher-student relationship. Part of the self-esteem and sense of value of many leaders are sometimes wrapped-up in their belief that they must be seen as having “the answer.” However, in reality, a range of possible optional answers always resides within the group itself, depending upon the particular circumstances. So, in order for all options to surface, the leader needs to create a community culture that is safe and nurturing – one that encourages dialogue, respect for differing opinions, and allows for the emergence of innovative ideas and solutions. With inspired stewardship, workplace communities can evolve to become, as Astephanie Spear states in an article in The System Thinker (June/July 1993), places of truth-seeking and speaking without fear of judgment or reprisal: “Developing the capacity to live with “not knowing” when it naturally arises, to learn to be in a relationship with oneself, and to be reflective rather than defensive in nature is the leverage for learning in community. An experienced leader draws upon the resources available and listens to ideas, doubts, and dissent. The leader needs to genuinely say: “Look, I don’t know about the answer or the outcome. It is a bit of a mystery right now. What were you thinking?” So, leaders become conveners and facilitators, confronting people with freedom, without giving up the space that belongs to the leader. Further, be convinced that people own the space they are in, and while leaders cannot be invested in what that space is, complaining is a sign that the person really does not want to be there. Rondalyn Whitney, in the essay Caring: An Essential Element (Gozdz, K. (ed. ), 1995) suggests that the real challenge for building community in organizations is to find the courage to flex and grow, to bend and not break in the precarious balance between individual and organization growth and well-being. We cannot build cohesion among human beings without caring, and in order to care for others, you must first care for yourself. However, there is a clear warning that caring does not mean giving out warm “fuzzies” at the expense of financial well-being. Whitney goes on to say that one way to build community is simply to begin caring. If we spend more time in conversation and demonstrate caring expressions and actions, others will mirror us, and mirroring builds commonality. All this requires the courage to risk being vulnerable; however, it is vulnerability that helps build healthy relationships and consequently healthy communities. Fleck suggests that before community can fully emerge, copious amounts of tension are inevitable, as individuals argue for their diverse points of view. However, he says, the greatest allies for holding tension creatively are curiosity (asking questions that expand the understanding of the ideas or system) and tolerance (for discomfort and dissent). A cornerstone of a thriving workplace community involves the re-learning of how to behave in the workplace, so that it evolves into a high-performing and high-engagement community. This involves trust and having a different type of relationship with people. Most of our experience is in the realm of “parenting,” so there is sometimes a tendency for a leader to assume a “parent” role and the team members to assume a “child” role (I’m Okay. You’re Okay, Harris, 1969, 2004). Yet, productive workplace behaviour is more about a highly-engaging partnership than it is about parenting, dominion or submission. Many leaders fall into the role of “parent” since it upholds their control and power over others. Yet, a leader need not act as a “parent” to get the work completed since most people come to their workplaces for a serious reason – to contribute. The benefit of acting in an “adult” role is that it allows the team member to act in an “adult” role as well, leaving behind the “parent” and “child” modes. The healthiest and most productive types of relationships are rooted in an “adult-adult” approach (Harris). The agreement between the leader and the team member, as well as the leader and the workplace community as a whole, needs to be re-negotiated, so that everyone understands that they are “partners” in this venture. As a result, we need to stop drawing hierarchical organization charts, and move towards a picture that better demonstrates how we relate to one another, and where/with whom we network in getting the work completed. Another benefit of this approach is that everyone soon begins to act as they have an ownership stake in the business or organization. Trust is earned through moments of truth. Integrity, honesty, and the ability to have focused conversations are key factors in building trust. A leader must provide “safe spaces” which encourage high contact and high engagement, so people can give voice to their feelings, ideas, and doubts in creating alternative futures. Michelle Levy, in her essay, From Chaos to Community at Work (Gozdz, K (ed. ), 1995), sums it up nicely I think when she says that if we are committed, communicative, and creative enough, we can foster conditions that nurture the potential of both individual excellence and organizational excellence by building quality working relationships. If we believe that a leader’s role is to put people in connection with one another, and to marry this connection with intention (Peter Block), then, on both an individual and collective basis, people need to know who they are, and where they are going. There must be a clear vision that is owned by everyone. There must also be an agreed-upon set of values or guiding principles for the community or group in which all actions are rooted. Further, people are searching for “meaning” in both their professional and personal lives (The Politics of Meaning: Restoring Hope and Possibility in an Age of Cynicism, Michael Lerner, 1997). So, we need to help each other find, vocalize and foster the greater sense of purpose in our work. A basic premise the leader must hold in building new workplace communities is that everyone is creative and each person has a unique contribution to make to the “whole.” So, a leader should be dynamic enough to creatively engage the community’s energy and stay committed to the desired outcome, despite the obstacles that inevitably crop up; someone who is rooted in their own virtues, many of which are shared by the community members, and someone who knows themselves, while having the flexibility, as well as the capacity for discomfort, dissent and transformation. We also need leaders with integrity and high standards of behaviour to help create a culture of trust and safety. We need discomfort to create an alternative future, and we need dissent to ensure all voices are heard and to engage in conversations of commitment. What comes to mind is someone who is positive, solutions-focused, kind, and highly-principled. You want to see a good degree of spontaneity, creativity, confidence, and flexibility. You want someone who is intuitive with people, as well genuine and caring in their approach. You want someone who asks a lot of questions – who is curious. A good sense of humour certainly helps as well. You want a person who has a natural instinct to help and to create opportunities for continued learning, and who understands that progress is often nudged along by the ripple effect, following the example of one person’s courage in being more accepting, strong, and inclusive. Conversation – focused conversations that incorporates active listening becomes the medium through which collective action emerges. 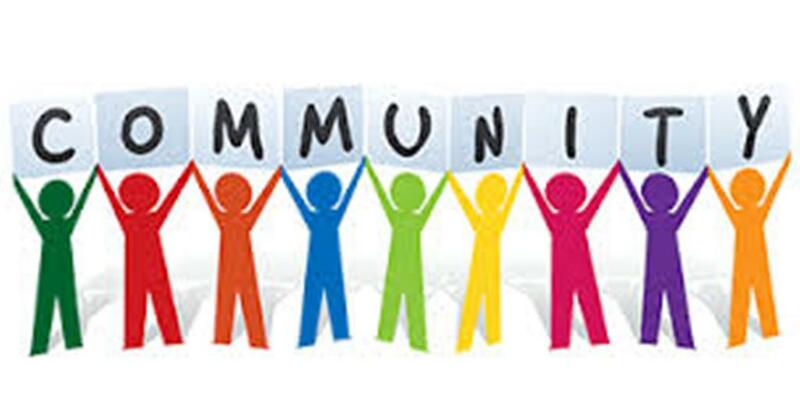 Institutional Arrangement for Community Maintenance – so that the community members continue to grow and develop, both individually as well as collectively. Well, congratulations if you have managed to make it to the end of this article – there is a lot of information here, and to my satisfaction, a commonality among many scholars and practitioners as to the path and components needed. Building workplace communities is difficult work, no doubt; however, the rewards are magical. At the end of the day, so to speak, we all have a longing for sanctuary in our lives – safe havens where we can learn, grow, contribute, be appreciated and be fulfilled. When our workplace is dedicated to this caring community approach, we live better, happier lives and are able to easier achieve our professional and personal goals, as well as those of our workplace.